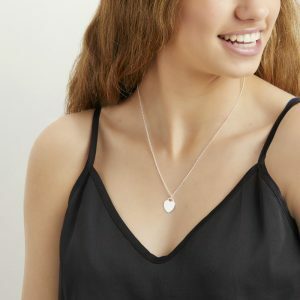 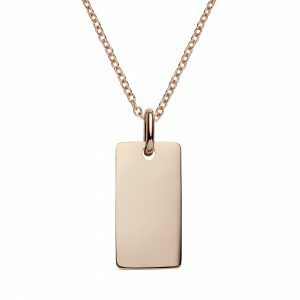 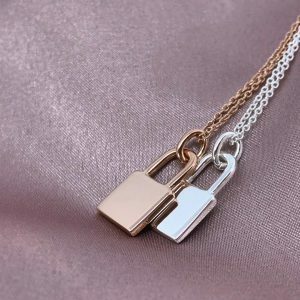 On trend rectangular bar necklace made from 100% quality sterling silver. 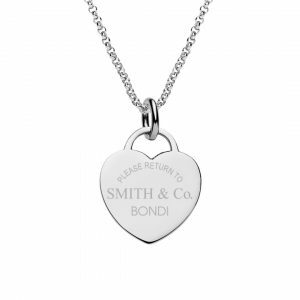 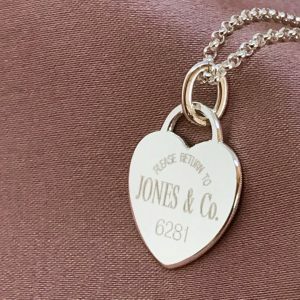 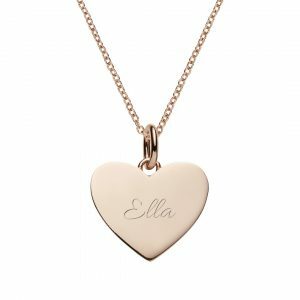 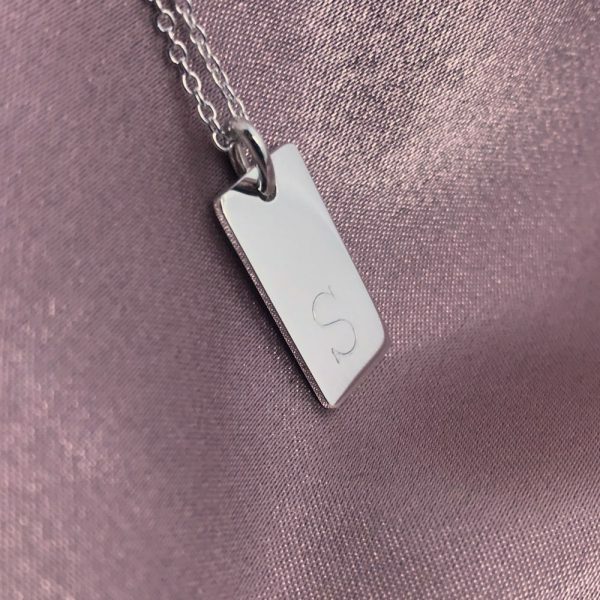 Engrave your name, initials or any text on the bar pendant. 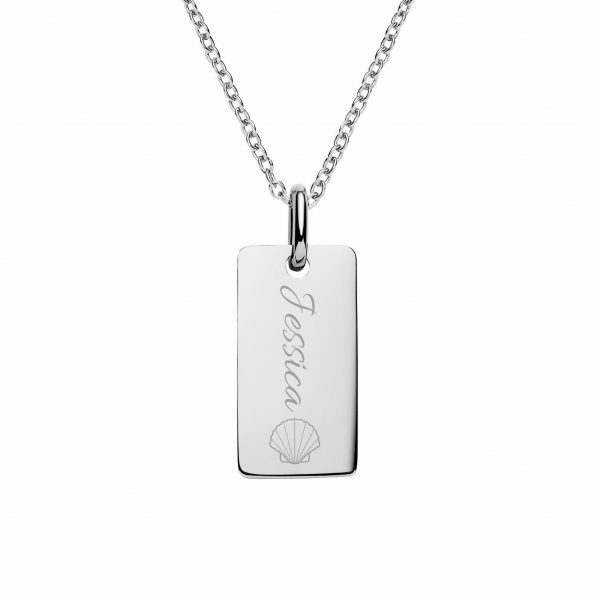 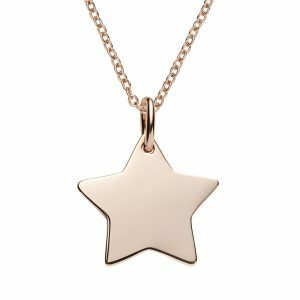 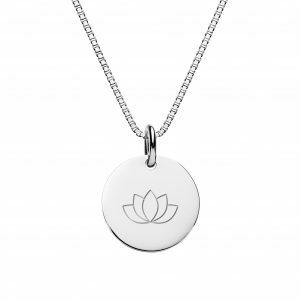 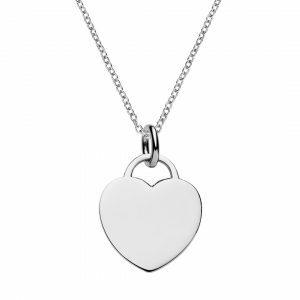 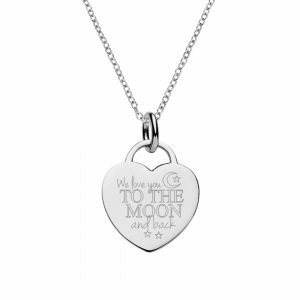 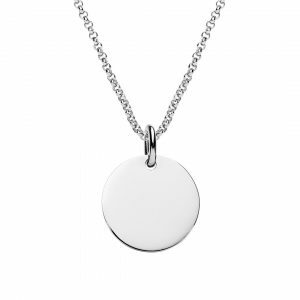 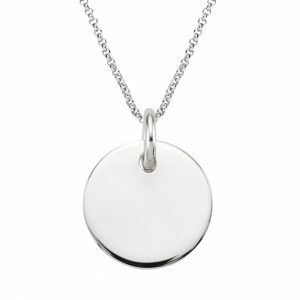 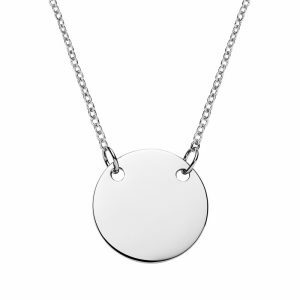 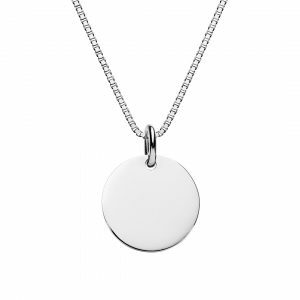 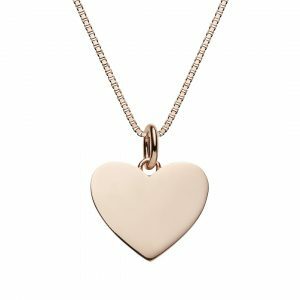 Or personalise this necklace with your choice from over 100 symbols in our engraving design tool. 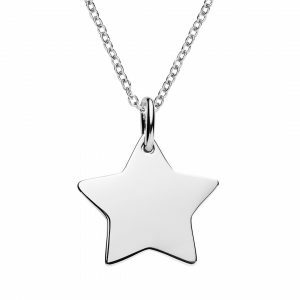 Click the “Start Design” button below to see how your text or symbol will look engraved on the jewellery. Sterling silver bar pendant and chain. 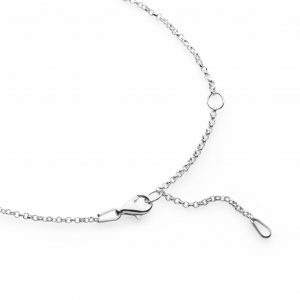 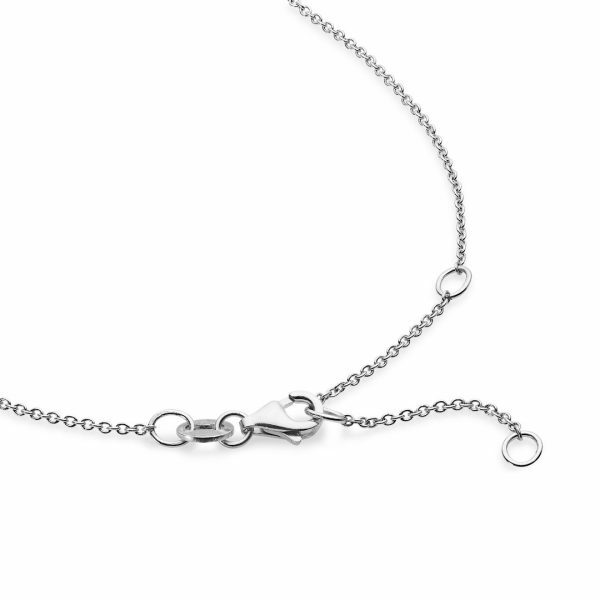 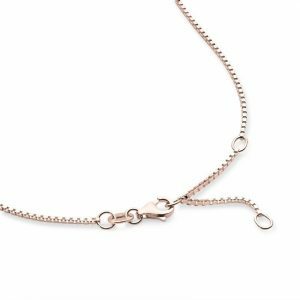 Cable chain with lobster clasp can be worn at 3 different lengths from 38 – 42cm. 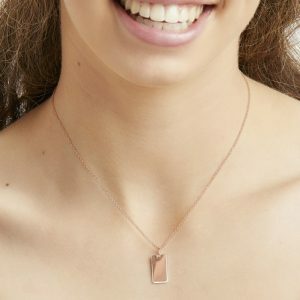 Rectangular pendant 18mm x 9mm x 1mm thick.